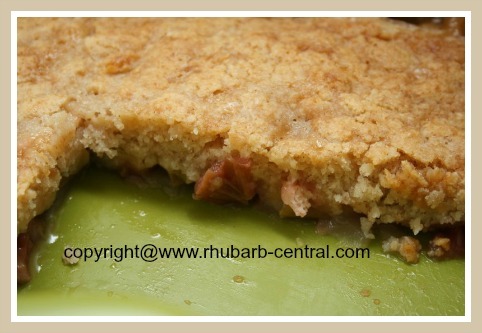 This Rhubarb Pudding Cake Recipe is quick and so very easy to make. You can choose to bake it in a 8" square baking dish (or an equivalent size) or bake this pudding cake in 8 (small) ramekins. 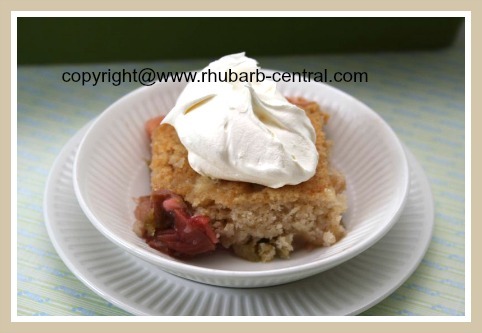 This fresh rhubarb recipe makes a nice rhubarb dessert or a snack at tea time or coffee time! 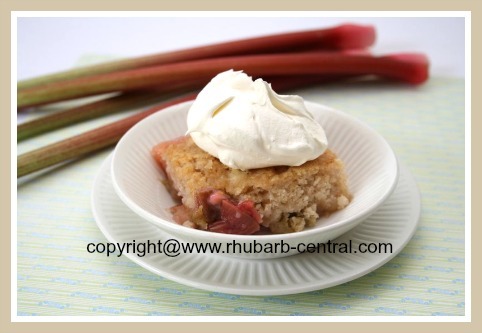 Transfer the prepared rhubarb, (chopped pieces should be about 1/2" long), to the bottom of the greased square baking dish, or into the greased small ramekins. In a bowl, (using a fork), cream together the butter and 3/4 cup of the sugar. 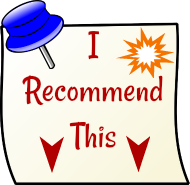 In another bowl, combine the flour, baking powder, spices and the salt. Add the dry ingredient mixture to the butter mixture, alternating with the addition of the milk. Mix until just combined (the batter will be "thick and sticky"), and spread this batter, by spoons full, over the rhubarb in the baking dish. In a small pan on the stove, (or in a dish, using the microwave), heat the orange juice, and add the remaining 1/2 cup of sugar, and the cornstarch, and orange zest (if desired). Pour evenly over the batter. 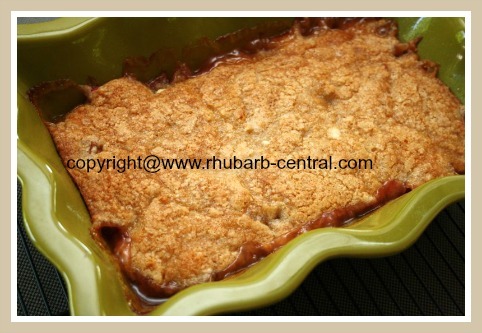 Bake at 350° F for 1 hour or until the top of the pudding cake is golden and crusty. 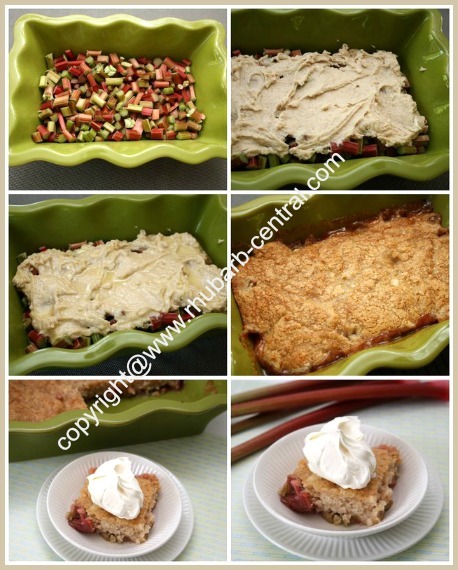 If using ramekins, bake for about 40 - 45 minutes. 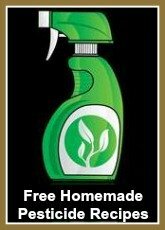 Serve with vanilla ice cream, if desired! 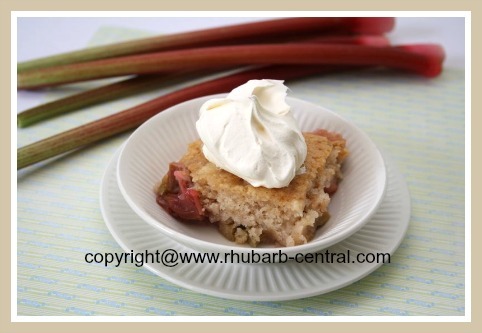 Looking for More Rhubarb PUDDING Recipes? 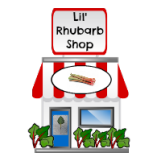 SUPER Easy and SUPER Delicious Rhubarb Dessert or Snack!